George Barringer was born in Wichita Falls, Texas in 1906. His father W. N. Barringer was a blacksmith for the Missouri-Kansas-Texas Railroad. George spent his youth and early years in the railroad roundhouse observing his father work on locomotives. Being a machinist in the 1920s was quite an honor, and George watched and learned. By the time he had reached his 18th birthday, he was a skilled machinist and mechanic. 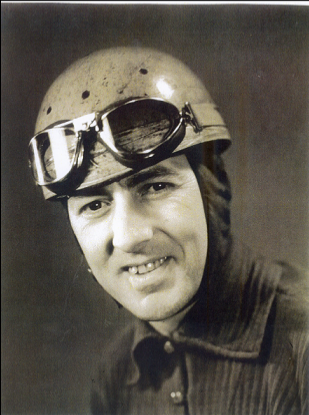 One of his early goals was to build his own race car and drive it. He was finally able to build a car in his father's blacksmith shop, located behind his family home in 1926. The car had a Model T Ford engine with a Frontenac Cylinder Head. He named the car, "The George Barringer Special", and put the number 21 on it. He was 20-years-old at the time, but wanted the race officials to think he was 21. 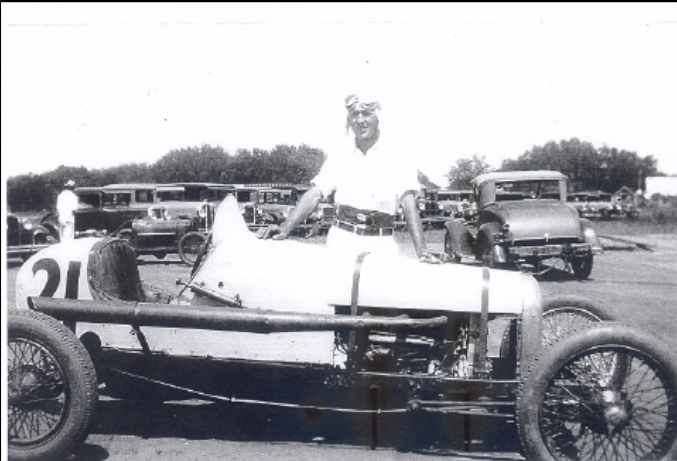 His first race was at the Wichita Falls Speedway, a half-mile dirt track in 1926. From that day forward, he was driver and mechanic. He always listed his occupation as race car driver. The year 1926, was a good beginning for Barringer: his car performed well, he was winning some races, and making money. in it comes from George Barringer's Son, Bill, who lives in California.